DEERFIELD, Ill. — Walgreens Boots Alliance (WBA) recently announced three global leadership appointments. Vineet Mehra will be joining WBA as global chief marketing officer. He will be based at corporate headquarters here and will report to WBA co-chief operating officers Ornella Barra and Alex Gourlay. As global CMO, Mehra will be responsible for the visioning, leadership, strategic direction and performance of all marketing activities, including global marketing collaboration, design and execution of WBA’s global iconic brand, development of the customer value proposition, brand positioning and more. 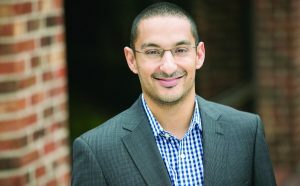 Mehra comes to WBA from Ancestry.com, where he held the position of global CMO for one of the world’s best-known direct-to-consumer technology brands. Prior to joining Ancestry.com, he held top global marketing positions at Johnson & Johnson, Avon, Novartis Consumer Health, General Mills, and Procter & Gamble Co. In 2018, Forbes listed him as one of its Top 50 CMOs defining the future of marketing. Annie Murphy has been named global chief commercial officer. She was previously WBA’s senior vice president and chief customer officer. In addition to her new role, Murphy will take leadership of WBA’s global brands business. Prior to her current role, she held director positions at Boots UK and Boots Ireland starting in 2011. Earlier in her career, she worked in marketing, sales and business development for several companies including Birds Eye Ltd., PepsiCo UK, Procter & Gamble UK and Tesco. Lastly, Colin Nelson will be joining WBA as senior vice president and chief global supply chain officer. He will be based here and will report to Barra and Gourlay. He will lead WBA’s global pharmaceutical wholesale and distribution networks serving more than 18,000 stores in 11 countries. Nelson has extensive supply chain and procurement expertise. He comes to WBA from Bunge Global, where he was head of industrial operations. Before that, he served as senior vice president of global supply chain for the consumer health division at GlaxoSmithKline PLC, where he covered the full order-to-invoice process for total wellness, oral care, nutrition and skin health products. He has also held top global supply chain positions at Firmenich, the largest privately owned company in the fragrance and flavor business, as well as at Unilever Asia, Africa, Middle East, Central and Eastern Europe/Russia, Unilever Europe Foods and Unifoods South ­Africa.